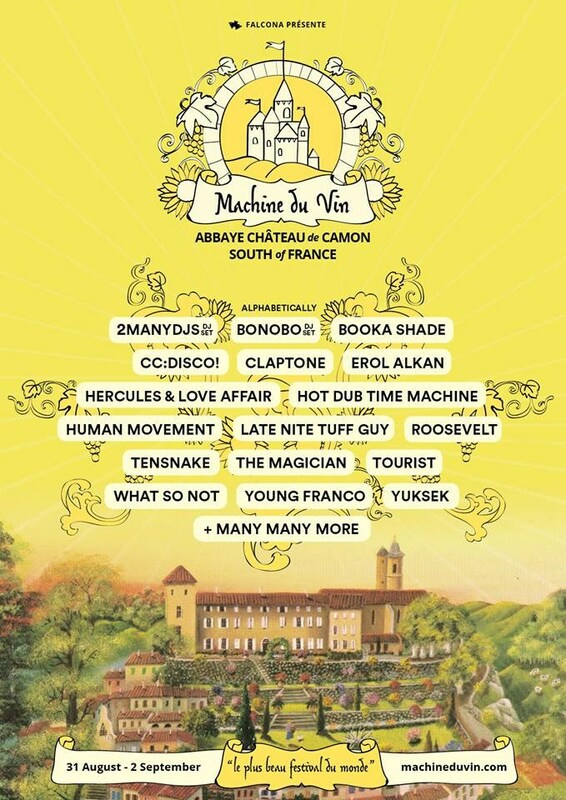 Machine du Vin: a magical three-day, music, wine, food and arts spectacular will take place on the grounds of an ancient medieval chateau in romantic, rural Southern France this summer. This luxe, hand-curated experience is poised to attract European residents, Australian adventurers, and bon viveurs alike. An innovative smorgasboard of European, American, and Australian acts are set to don their berets to join the champagne-fuelled French festivities at Machine du Vin. One of the most celebrated acts in Europe, Bonobo (DJ Set) delivers one of the biggest and most subtle electronic music performances you can get. Expect to hear some classic moments from his rich releases from #1 albums such as The North Borders and Migration in a DJ set that will move your heart as well as your feet. The lush fields, castle surrounds and starry skies of Machine du Vin provide the perfect environment to experience Bonobo’s majesty. Behold as the Chateau’s stone walls to crumble into a million pieces when global clubbing institution par excellence 2manydjs (DJ Set) take Machine du Vin under siege! Global electronic sensation What So Not will share genre-defying dance offerings from his recent debut album outing Not All The Beautiful Things. Prepare for pure pleasure when Night Falls, and the spine-tingling opening strains of Berlin duo Booka Shade’s iconic anthems Body Language and Mandarine Girl drift out through the smoke. Eponymous Berlin golden bird-nosed producer Claptone brings his house and techno savoir faire to France, and absolute London indie-electro royalty Erol Alkan will ‘Keep Kids Dancing’ at Machine du Vin, as will Brussels DJ/producer The Magician. From across the Atlantic, Machine du Vin welcomes NYC’s Hercules & Love Affair, who in 2018 celebrates 10 years of his lavish DFA Records debut. Grammy-award winning electronic producer Tourist will perform his sprawling, experimental blissful house release U. Australian DJ maestro Hot Dub Time Machine, the man behind the “best dance party on the planet”, will send the Chateau into a spin. A generous spread of deviant disco is on offer Australia’s Late Nite Tuff Guy and Reims wizard Yuksek, as well as female disco connoisseur CC: Disco! Nu disco genius and Coma Cat producer Tensnake, club-starter Young Franco from Sydney, and Caribou-inspired Balae producer Roosevelt, round out this superb line up. 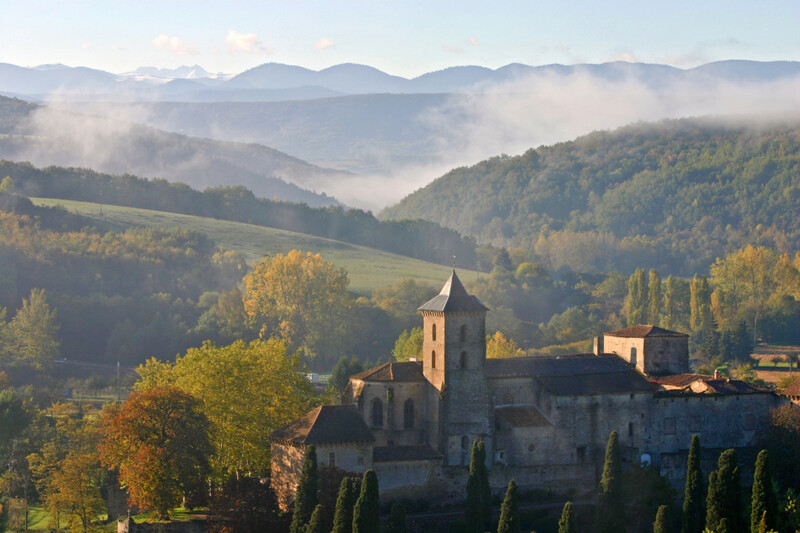 The Midi-Pyrenees region, of which Machine du Vin’s home Camon is part, is awash with beauty and history. A realm of breathtaking landscapes await Machine du Vin’s intrepid pilgrims – from rolling hills covered in grapevines and sunflowers alike, to quaint farms, subterranean caves, underground rivers, valleys, and turreted châteaux hidden among the forests. Machine Du Vin’s town centre, the medieval village of Camon, epitomizes the post-card perfect fairy tale image of French charm – and will truly capture the heart. Its ensemble of stone buildings are built in the style of a 15th Century royal fortress. As you seek out its traditional boulangeries, you’ll tread in the footsteps of monks, soaking up the peaceful reverence of this former Abbey, whose air is perfumed with the scent of over 100 rose bushes, that hug its cobblestone walls. Rising from the perfectly manicured vineyards of Camon are the turrets of the L’Abbaye-Chateau de Camon – the jewel in Camon’s crown – a Disney-like castle, that stands proud and beautiful – a symbol of 1,000 years of French history. The fully-restored castle’s rich interiors are of the extravagant Belle Epoque style, replete with painted ceilings, drapes and 18th Century furnishings. The magnificence of this estate must truly be seen to be believed – and will the form a most extraordinary backdrop for the weekend’s festivities. Machine Du Vin has tailored a refined experience that goes beyond the dancefloor, an opportunity to really experience life a la Française. Key amongst the attractions are wine stomping, Long Table Lunches, river liloing and a wealth of sunset surprises – what a pleasure it will be to watch the skies blush pink as the sun sets over the rolling hills of the Southern French vineyards… sipping vintage wine local to the region…grapes crushed by the hands of local wine producers. In order to truly savour their surroundings, festival goers are invited to glamp or camp on the Chateau’s grounds, waking up each morning to fresh croissants and French-press coffee greeted with the sounds of birdsong and bright blue skies. Further artist, cuisine, wine and activity announcements to come.